Being proactive about your oral health had never been more important. With oral health linked to many other health concerns such as diabetes and heart disease, it’s important to maintain your oral health in order to maintain your overall health and well being. Preventative care appointments are your first line of defense against conditions such as tooth decay, gum disease, and oral cancer. 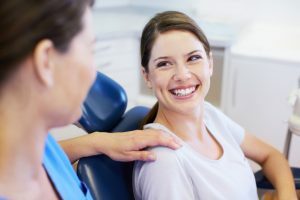 Your Park Slope dentist discusses how your regular dental appointments can save both your smile and money. Did you know that your dentist can detect tooth decay even earlier than you can? There’s often no pain associated with tooth decay until damage has occurred. By attending your regular dental appointments, your dentist can make you aware of tooth decay in its earliest stages, which ensures that you will have the best chance of treating it with less invasive and costly treatment. In some cases, with improved home care, tooth decay can often be reversed before it causes cavities. Periodontal, or gum disease is also hard to detect early on, however it affects many American adults. You may notice that your gums are red or swollen, or that they bleed when you brush your teeth, these are the early signs of gum disease. The earlier you get your gum disease under control, the better because if left untreated, gum disease can cause severe bone and tooth loss. Again your dentist will be able to detect gum disease in its early stages and help you successfully combat it with a thorough professional cleaning and improved home care. More advanced cases of gum disease will require a deeper cleaning below the gum line called scaling and root planing. Some advanced cases may need surgery in order to save your teeth. For most patients, visiting their dentist every six months or twice per year is sufficient to remove plaque build up and monitor oral health. Patients who struggle with gum disease may require additional visits to their dental team throughout the year in order to maintain their oral health. At The Dental Spa of New York, Dr. Frank J. Sapienza has been helping patients maintain their smiles for over thirty years. We offer exceptional dental care in a relaxing spa-like environment that is designed to reduce stress. 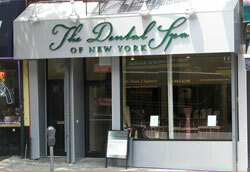 We offer many amenities that you won’t find at many dental offices such as massage chairs and a beverage bar. Your health and comfort are our top priority. Call us to schedule your next appointment and learn more about our exceptional services.